Buy NZ Native Plant Remedies products online. New Zealand native plant remedies has been studied in depth by Murdock Riley who wrote 'Maori Healing & Herbal New Zealand Ethnobotanical Sourcebook' (1994). This textbook in Part 1 Maori Healing & Health Topics, describes traditional use of indigenous plants and Part 2 Maori Herbal remedies, describes in detail the individual plant benefits. 'New Zealand Medicinal Plants' by Brooker, Cambie, Cooper (1981), reviews the question of the use made by maori, missionaries and earlier settlers, of native plants for specific purposes and examine the chemical constituents found in these plants, likely to be of value. This book has over 400 references which can be consulted for further study and is recognised to have the widest coverage of any book on the subject with their orginal handbook being produced in 1961. 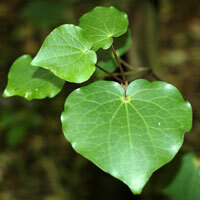 Rongoa Native plants of New Zealand are NZ natural remedies and edible plants of old. Commonly gathered, prepared and used by NZ Indigenous peoples of Aotearoa. The Rogoa NZ Native Plant Remedies were used by Maori prior to european colonisation. These sought after every day natural plant remedies were added to and expanded to by the colonisers who contributed their own traditional herbal knowledge. For Pets and People please click on any of the Kiwikitz™ Rongoa Native plants of New Zealand herb products below to find out more about each product. New Zealand native plant remedies are suitable for pets as well! Kiwikitz™ Bronchial & Lung Elixir Ingredients: Kumarahou, Thyme, Skullcap, Fenugreek, Albizzia, ChamomileOur user-friendly instant drops can be carried in a pocket or handbag. Larger drop bottles are available for family use or ongoing use.a general lung elixir tonic restorati..
Kiwikitz™ Germs-B-Ware contains Kawakawa, Olive Leaf, Astragalus, Burdock plus Dandelion and EchinaceaCongested & feeling miserable? Always seem to be 'catching something'? Bugs seem to hit you each year Nightime stuffy nose and stuffy head? Ongoing skin eruptions? ..
FOR PETS AND PEOPLE - KARENGO (Porphra columbina)-Parengo DropsKiwikitz™ Karengo drops naturally supply Selenium and Iodine Nutritional importance of karengo kelp is mainly in it vitamin & mineral content A good source of Vitamin B12 often ..
Kiwikitz™ Kawakawa Drops and their specific herbal actions - bitter tonic (stimulates salivary glands, liver, pancreas & stomach), anthelminitic (kills or removes worms), depurative (used to be called Alterative - blood purifier ( supports detoxification & elimination of&nbs..
Kiwikitz™Koromiko rongoa is a bitter tonic (digestive stimulant & helps overall health), styptic (stops bleeding), astringent (contracts tissue & constricts mucus membranes causing protective barrier).Traditional, time proven NZ Native Plant Remedies include Koromiko.&..
Kumarahou - the gentle, time proven NZ native plant remedy for you & for your pets! Kiwikitz Kumarahou herbal remedy action is alterative This means a blood purifier that helps detox your body and supports eliminatation of waste product to improve overall health & well b..
NATURAL PET REMEDIES STORE is distributed by Kiwikitz NZ Supports the reduction of skin ailments Promotes clearer skin and improved skin tone Promotes energy levels Helps reduce congestion improves digestion and absorption of nutrients Aids the natural healing response and greater feelin..
FOR PETS & PEOPLE KIWIKITZ™ MANUKA (Leptospermum scoparium)Kiwikitz™ Manuka Herbal action:Febrifuge (prevents or reduces fever) Alterative (blood cleanser or substance that detoxes and eliminates metabolic waste). This action is generally via the lymphatics, kidneys..